Recommended Brace Height is 7 1/4 - 7 3/4"
This bow is a real Beauty! It's two toned coloration really makes for a custom look. The riser has a comfortable grip with antler-like decorative material to help give you a non-slip grip. You get looks AND performance with this bow as well as a GREAT price! What more could you ask for??? Quiet with little to no hand shock. The limbs have a Bamboo core with black glass overlay. There is dark hardwood in the limb wedge. The limb tips are reinforced for any modern string. The small tips reduce hand-shock and give speed. 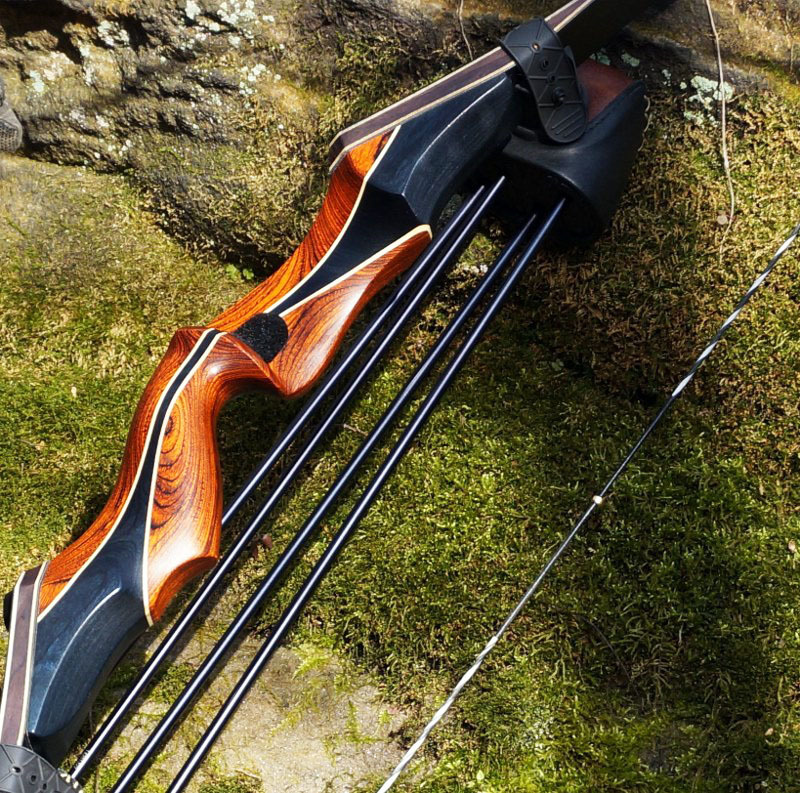 This bow is a smooth, sweet shooter and built for speed with pre-loaded limbs! It weighs 2.5 pounds!! 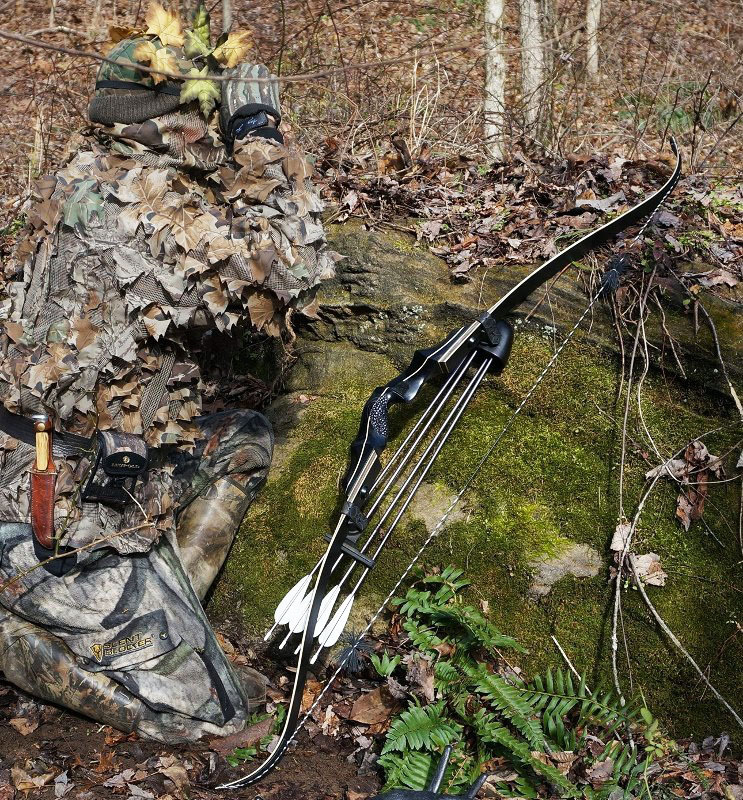 This bow comes with a Flemish Dyneema string** (high performance material). Used for its, durability, strength and speed. This great price includes the bow set up with a nocking point, silencers, and the shelf and side plate material installed. We recommend using one of our large end bow stringers to string up this bow, (purchased separately for $15.00.) NOW INCLUDED!! This would make a great 3D, target or hunting bow. Easy to maneuver in a tree stand or on the ground!! Your shooting buddies will think this is a custom bow!! Just tell them it's a Twigmaster Nitefire from Twig Archery!!! —One year warranty on riser/limbs for bows shipped to the US. —Arrows and Quiver sold separately. Recommended Brace Height is 8 1/4 - 8 3/4"
This bow is a Black Beauty! The riser is black with multi-layered diamondwood, with a strip of bamboo through the center for added flair. Quiet with little to no hand shock. The limbs have a Bamboo core with black glass overlay. There is dark hardwood in the limb wedge. The limb tips are reinforced for any modern string. The small tips reduce hand-shock and give speed. The 16" riser with long, sweeping limbs are attached on the belly side for the added bonus of making this bow a smooth, sweet shooter! The higher brace height gives you the ease of draw and more forgiving of release. It weighs 2.5 pounds!! It has a nice feeling, comfortable grip. This bow comes with a Flemish Dyneema string** (high performance material). Used for its, durability, strength and speed. This great price includes the bow set up with a nocking point, silencers, and the shelf and side material installed. We recommend using one of our large end bow stringers to string up this bow, (purchased separately for $15.00.) NOW INCLUDED!! This would make a great 3D, target or hunting bow. Easy to maneuver in a tree stand or on the ground!! This bow is all meat and potatoes, with a little gravy!! !